I seriously love our little town during Halloween. Why? 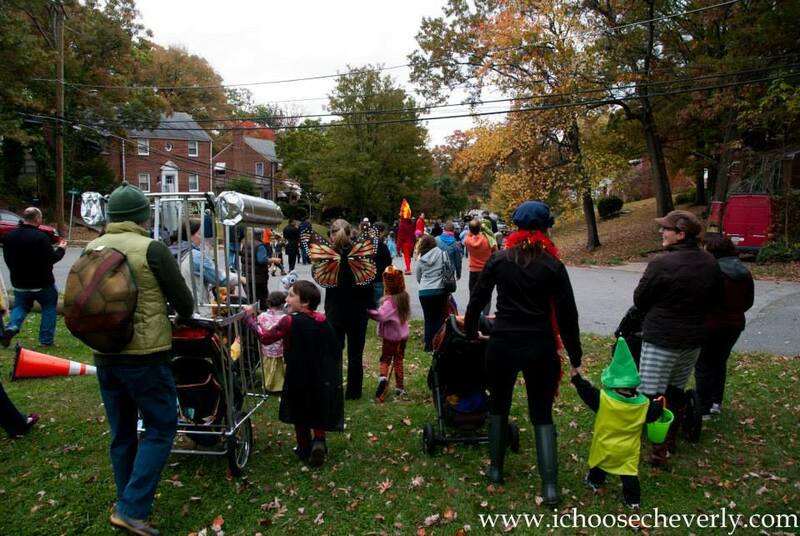 Our Halloween Parade is the absolute best. I think I get as excited or even more excited than my boys about it! 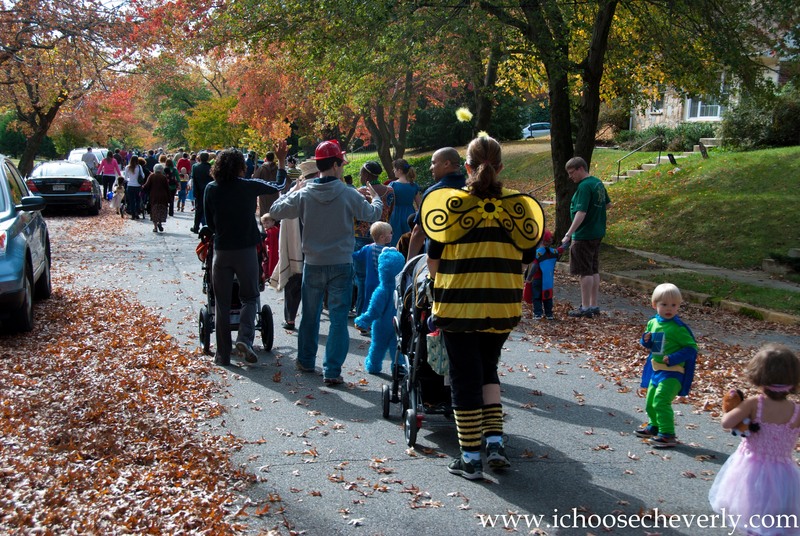 The Cheverly police shut down a couple streets (Parkway and Forest) as kids run from Cheese Park to the Community Center in their outfits. The parade will start at 3:45 this Saturday–beginning at the park. This year the town will be feeding the kids dinner before they head out to trick or treat at 6pm. And get this: Cub Scout Pack 257 is having a Haunted Hike from 6-8pm on Friday night. Join the fun by taking a 1/4 mile walk in the dark woods with your neighbors, starting at the Town Park Pavilion. Our town does it up for these holidays. More reasons to come out and join the fun!